One very interesting thing I discovered when doing brain studies is the fact that we think of ourselves as sophisticated, modern beings when in fact our brains are no different than brains in humans who lived 10,000 years ago. Simply put, evolution doesn't happen that quickly. We may be surrounded with iPads and smartphones, but we are made to respond to natural things. This is even more important for children who are still in an important part of their development. If possible, it is ideal for young students to learn using real things. It is nice to see art on an iPad computer screen, but it is even better to go to a museum and see the real thing. 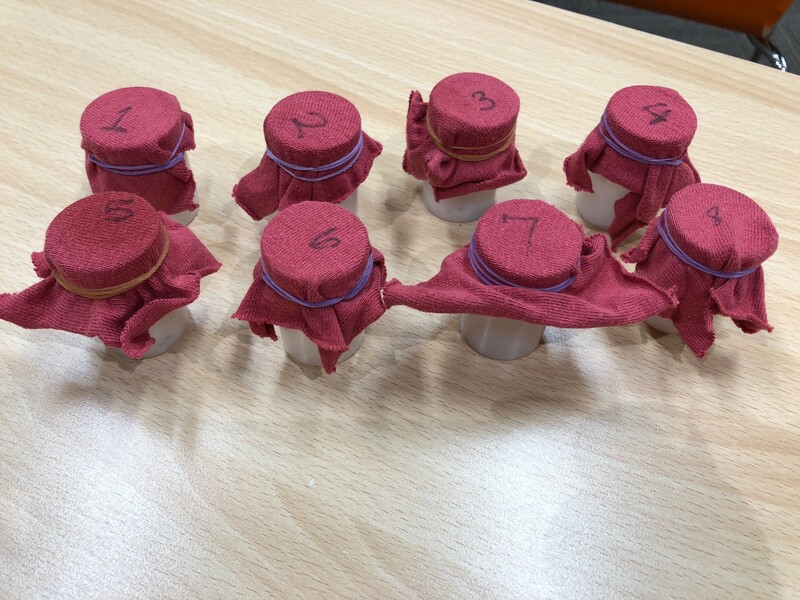 Lessons where children have the experience of focusing on their five senses and learning how to describe what they encounter are also valuable. A popular lesson at BIG BOW English Lab is where students sniff small containers and try to match them up, talk about whether it smells good or bad, and then guess what they are. (The containers have vinegar, cinnamon, coffee, and vanilla in them.) Another lesson is on the history of chocolate and how chocolate is made, concluding with a tasting of fair trade chocolate where students have to describe how it tastes and feels in their mouths. 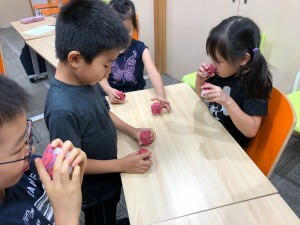 I felt inspired to write this blog post after reading a news article about how pre-schools in Japan are now promoting the use of iPads in the classroom. While I am not against children using technology, there are many first grade teachers these days who complain children come to school with underdeveloped hand muscles. Many speculate this is due to them using touch screens too much and not using crayons or scissors enough. Young children need to use their hands to grasp real world objects, not only to build up the muscles in their hands, but also to learn about the world around them.